Oil Base Wood Stains vs. Water Base Stains – Which is the Best? 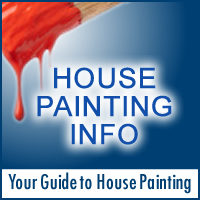 Oil base wood stain and water base wood stain are both used to add pigment or color to the surface of wood. When stain is applied to wood it sinks into the natural pores in the wood to create a transparent hue that highlights the grain of the wood. Both oil based and water based stains are available for purchase, but the two types are made of different ingredients that provide varying results. The most common and usually the most recommended type of stain to use on antique wood furniture is oil based wood stain. This is because oil base stains are easier to apply. Oil based stain dry slowly which allows more time for application. Oil based stain results in the appearance of greater depth as well as richer colors. Oil based stain works well under most types of finishes. Water based stain needs a sealing coat before finish can be applied on top of it. Water based stain dries faster. Water based stain emits a less offensive odor. You have several types of oil based stain to choose from; penetrating, wiping and gel. Penetrating wood stain is the traditional stain. It has a more translucent color allowing more of the wood grain and texture to show. 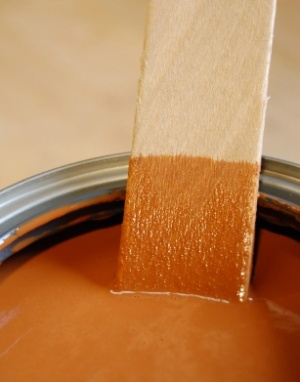 Multi-coats aren’t recommended but another can be applied after the first coat of stain has dried to increase the color. Wiping stain is a modern version of the traditional penetrating wood stain. Typically this stain is thicker allowing more control over the final color intensity. Wiping stain can be used on new (unfinished) wood, previously finished wood to change or increase its color, fiberglass, metal, etc. The thicker wiping stain is less likely to blotch and is recommended for soft woods like Pine, Birch, Maple, etc. 2 or more coats can be applied, allow each coat to dry thoroughly before proceeding with another coat. Gel stain is highly pigmented oil based wood stain that can achieve intense colors. Can be applied to any properly prepared surface; including raw woo, previously finished wood, fiberglass, etc. This is an excellent choice where dark or intense colors are desired. Oil based gel stain is great for staining vertical or slick surfaces where the more traditional stain fails or used with a wood graining tool for different effects. All of the oil based stains should be protected with a clear wood finish. Any type can be used but test to be sure. Which oil based wood stain is best for your project depends on the wood type, already finished or not and the desired final color intensity. Before making a final choice make sure to test the wood stain either on an inconspicuous spot or a sample of like wood. Test for color and evenness.